Faceless is an augmented reality installation questioning the trust we put in online representations and computer mediated communications. The artwork showcases fake bank checks and a series of photographs, through which one can access an augmented reality layer. The virtual layer exposes fragments of online traces in form of video and audio. A fraudster‘s identity is often based on either identity theft or a confusing mix of several existing individuals, giving them the opportunity to remain faceless and anonymous. The images in the augmented layer are the result of an online search in an attempt to confirm or invalidate the authenticity of the scammers’ online representations. For this project we created the fictional character‚ Anna Masquer, representative of an average contemporary artist that only exists as an online identity. 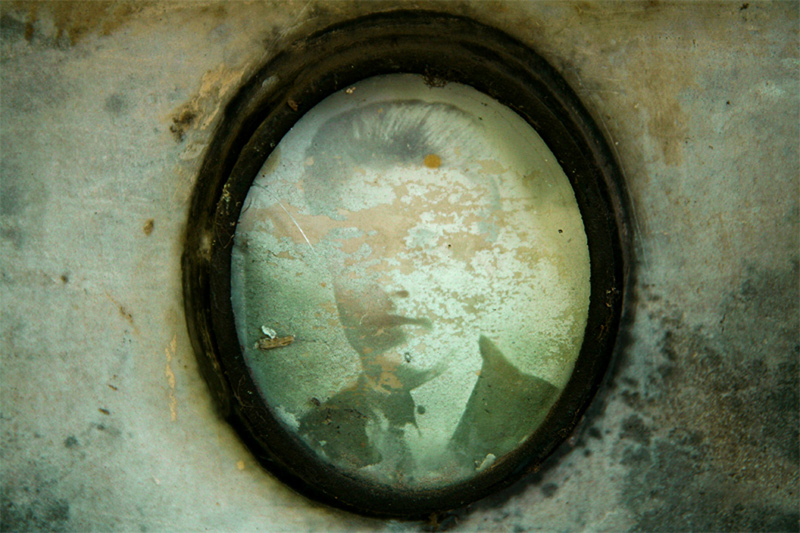 Her photo series Faceless is a collection of faded and worn down images from abandoned graves – another kind of faceless; past away and forgotten, yet an identity to use and abuse. This collection is presented online and offered to art scammers, who, posing as gallerists or wealthy art buyers show their interest in the artwork. The gathered checks are physical evidence of fraudsters sending overpaid checks, tricking the artist into money laundering and advance fee fraud. Art trade as well as any other online commerce requires trust between the actors. This trust is often built upon virtual representations that allow an international market, yet leaves us vulnerable for abuse. The opportunities to sell products or services online makes us targets for online fraudsters, who use the anonymity of the internet to trick the victim into their story worlds. ASIA2013_Zingerly_Faceless from ACM SIGGRAPH on Vimeo.